We propose a new representation for high-dimensional data that can prove very effective for visualization, nearest neighbor (NN) and range searches. It has been unequivocally demonstrated that existing index structures cannot facilitate efficient search in high-dimensional spaces. We show that a transformation from points to sequences can potentially diminish the negative effects of the dimensionality curse, permitting an efficient NN-search. The transformed sequences are optimally reordered, segmented and stored in a low-dimensional index. 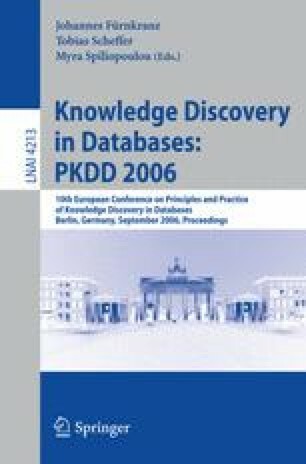 The experimental results validate that the proposed representation can be a useful tool for the fast analysis and visualization of high-dimensional databases.